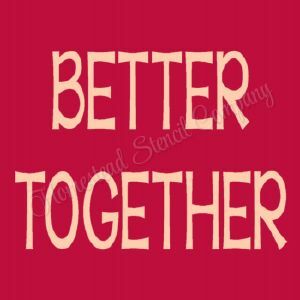 Better Together Stencil. It makes a cute wedding or anniversary sign for any home or as a house warming gift for those special people in your life, or even make to resell. **SHOP BY SIZE** > 10"x10"